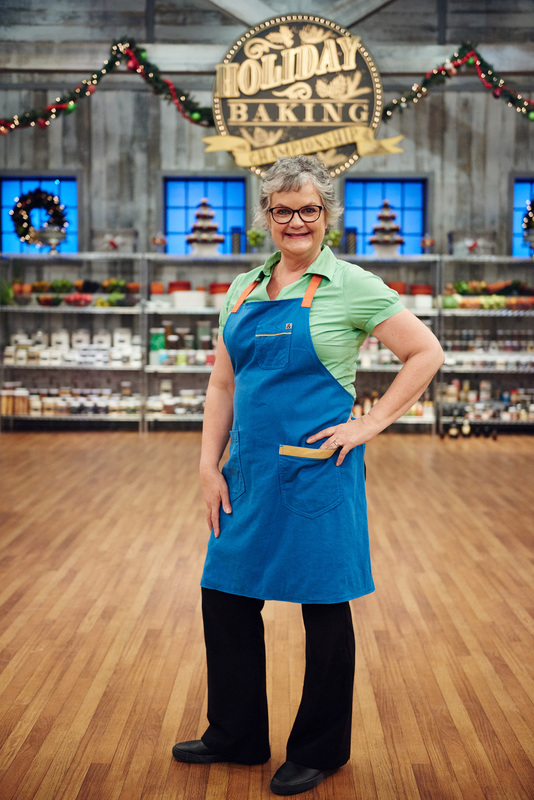 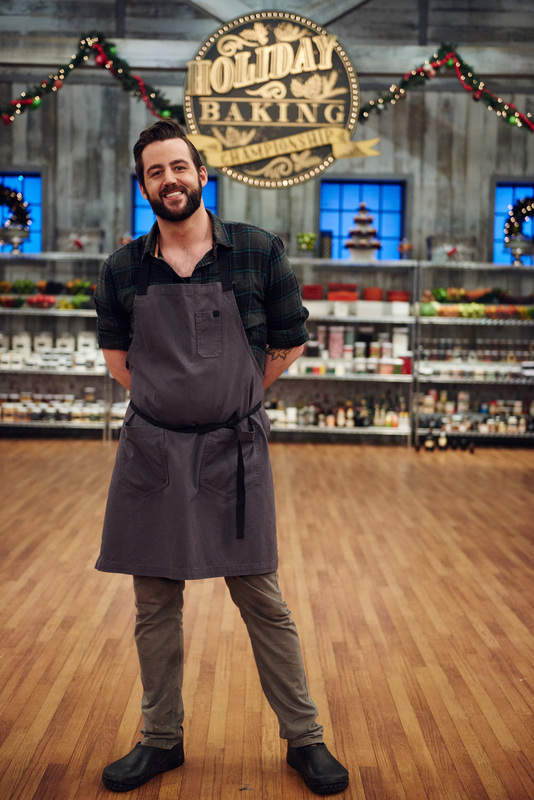 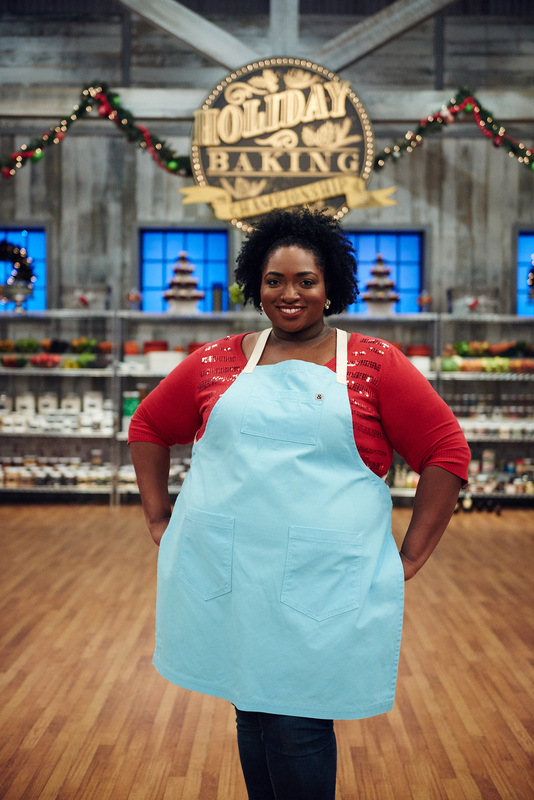 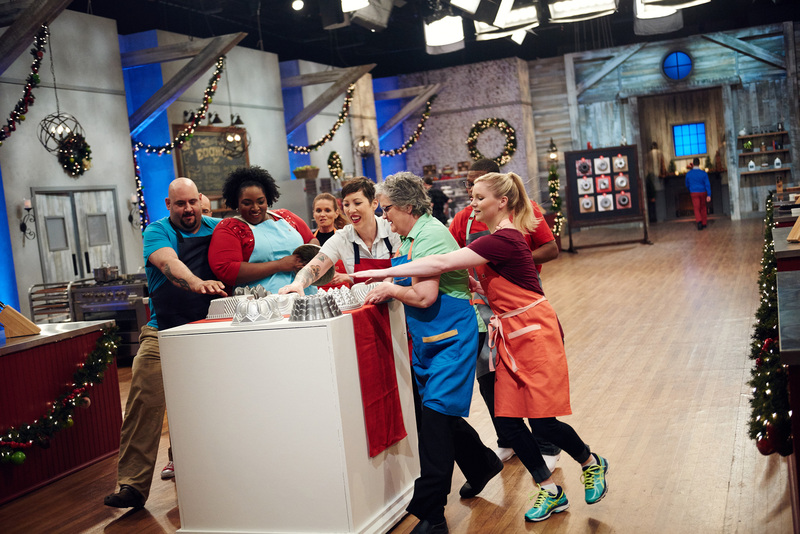 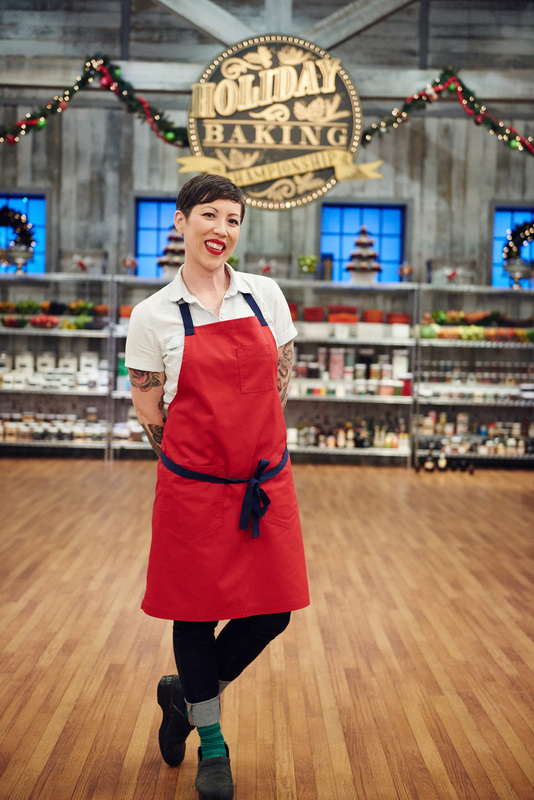 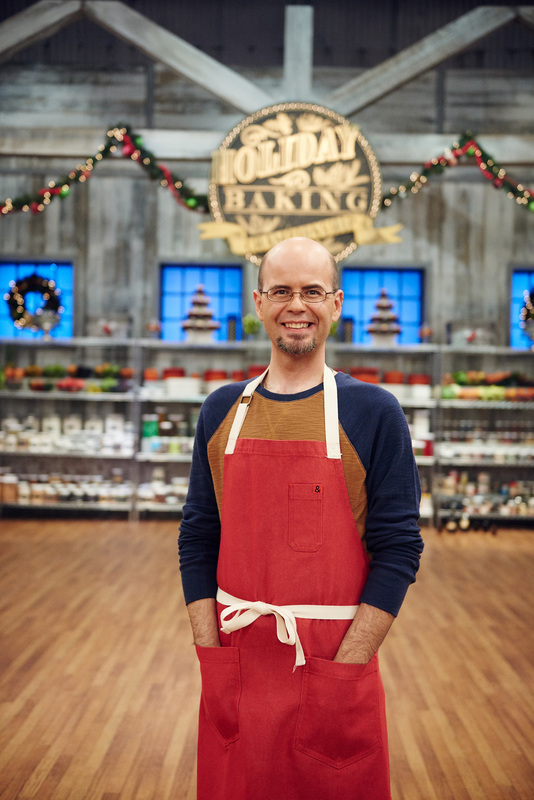 Beginning on Sunday, November 6th at 9pm ET/PT nine talented bakers brimming with holiday cheer compete to ‘sleigh’ their competition on Food Network’s Holiday Baking Championship. 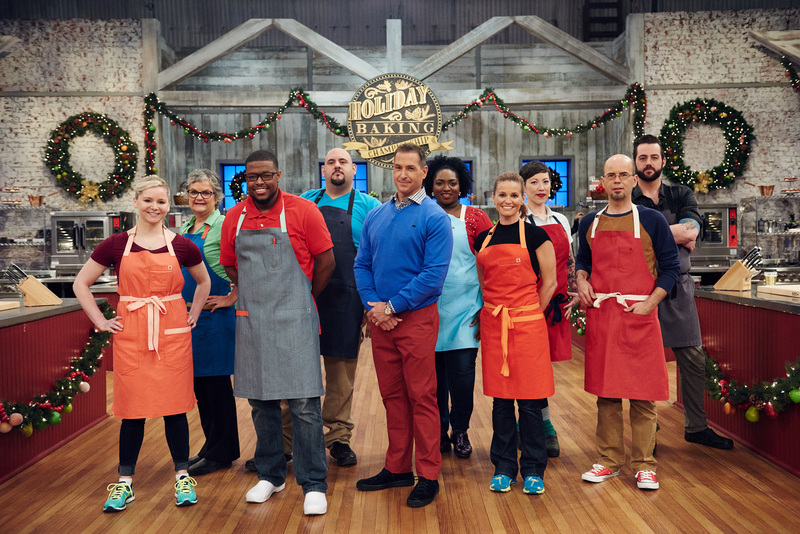 The contestants must whisk, fold and frost their way through difficult challenges as host Bobby Deen mixes things up with surprising twists along the way. 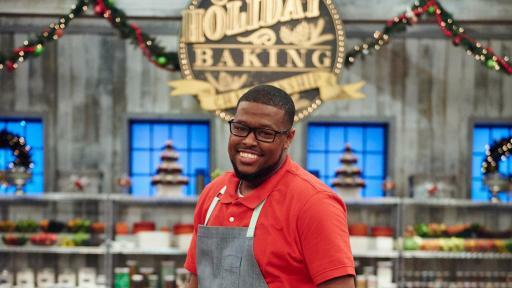 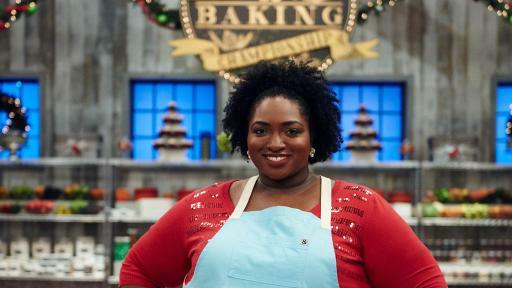 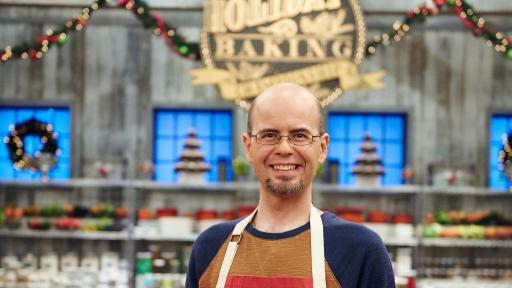 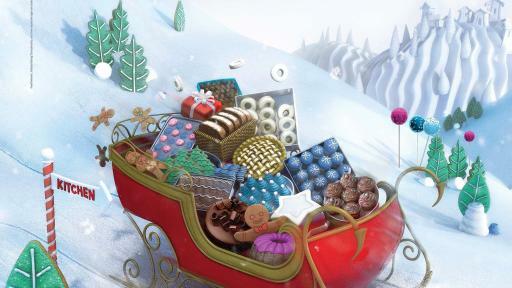 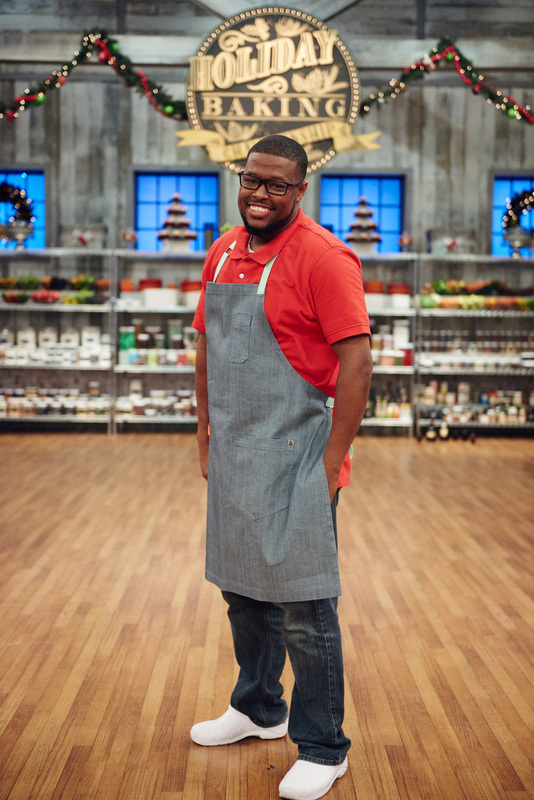 The one with the best baking abilities, and with the most delicious desserts that spread the holiday spirit, will rise to the top as judges Duff Goldman, Nancy Fuller and Lorraine Pascale determine who will win the biggest gift of the season – a $50,000 grand prize and the title of Holiday Baking Champion! 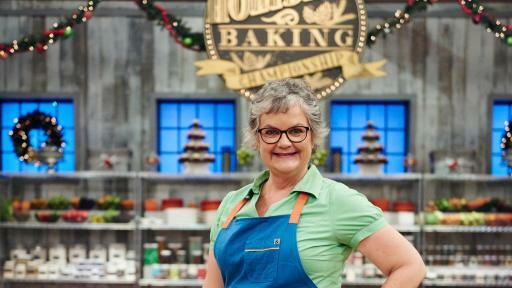 Cookie challenges that are inspired by dear old grandma, dessert competitions that celebrate ugly holiday sweaters, and pie contests that require everything to be made by hand fill this scrumptious seven-week competition. 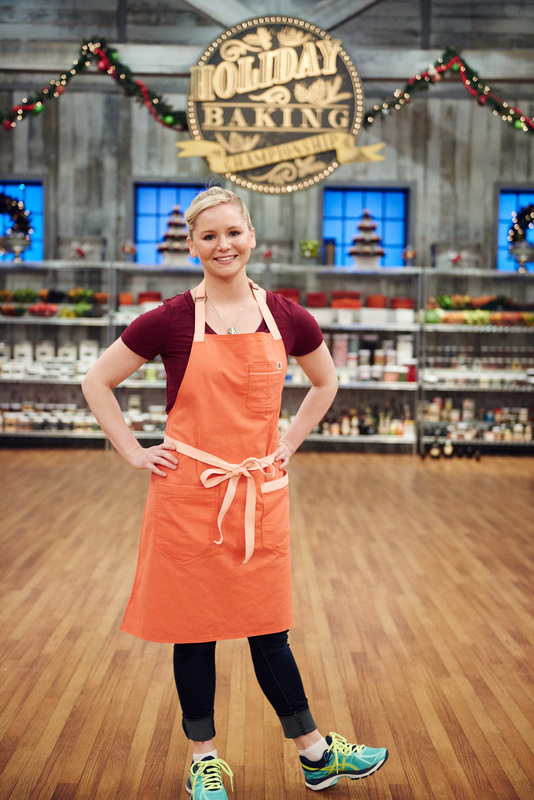 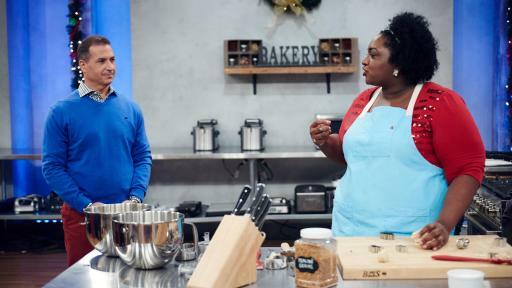 On the season premiere, the bakers are tested to turn classic seasonal beverages, such as apple cider, hot chocolate and eggnog, into custom-made confections. 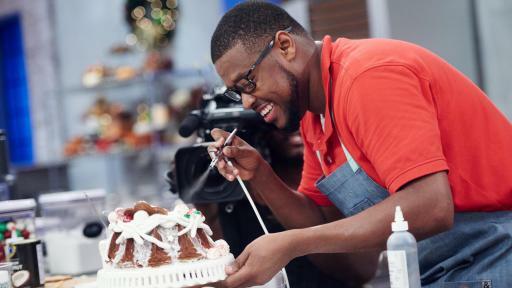 The contestant with the best treat will win a special advantage in the main heat challenge, where they must show off their decorating skills by creating a filled Bundt cake designed like a wreath. 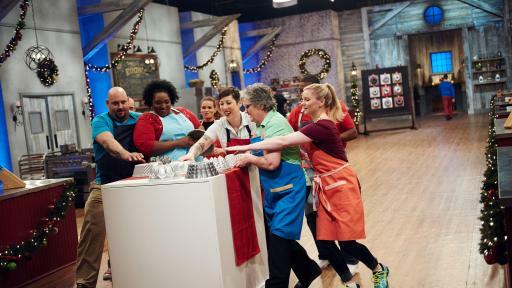 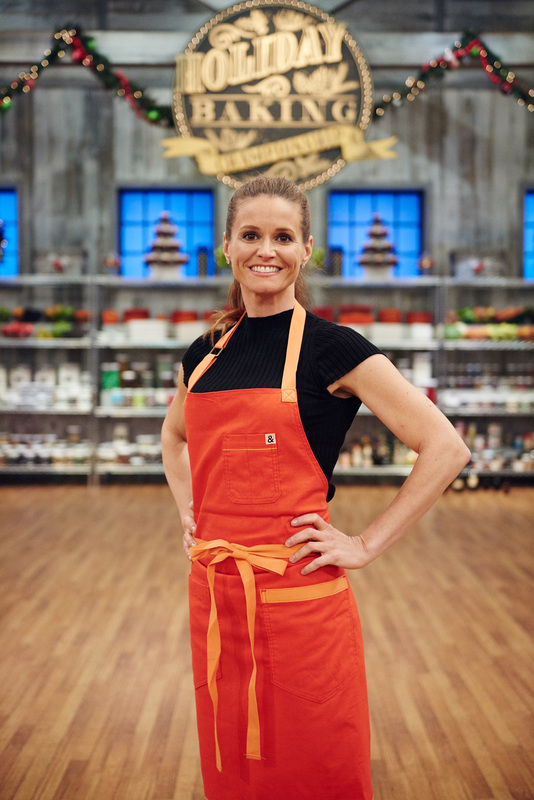 Throughout the season, the contestants must tackle tough challenges from baking without appliances, to creating Thanksgiving imposter cupcakes, and to putting a fresh spin on a classic yule log. 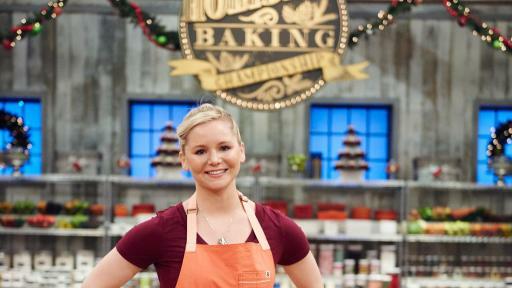 Each week one baker will crumble in the competition and get sent home. 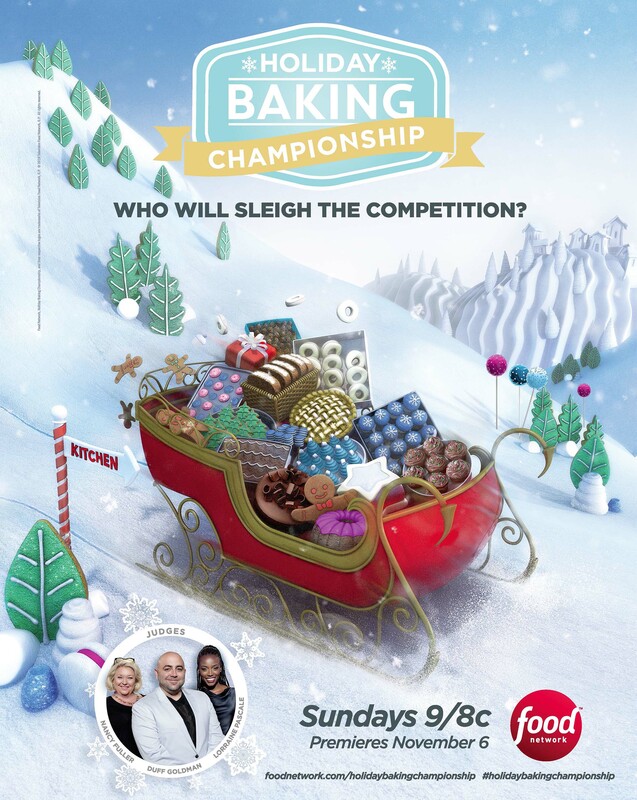 Then, in the grand finale, the three remaining bakers must use their imaginations to create North Pole-inspired treats, but only one will impress the judges to win $50,000 and title of Holiday Baking Champion. 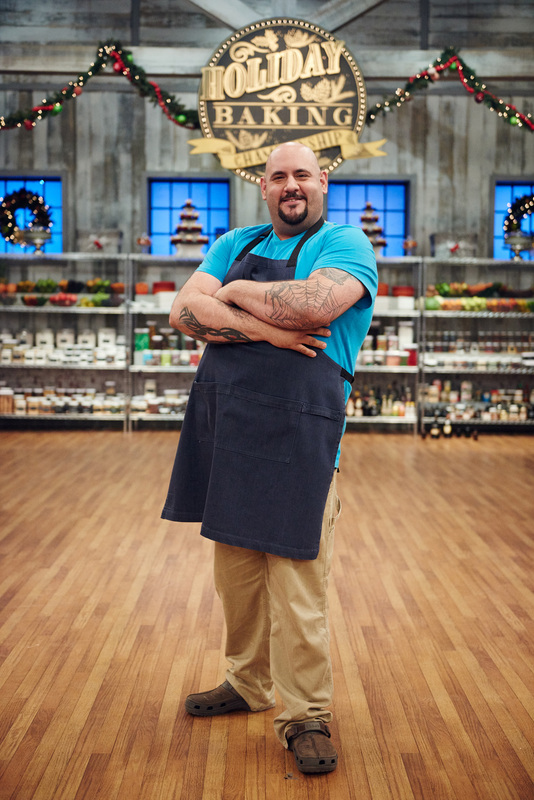 Each week fans can join judge Duff Goldman online for an original web series Duff’s Sweet Spot, where he will share his take on the competition’s sweet challenges, as well as tips and recipes for home cooks to try his magical desserts in their own kitchens. 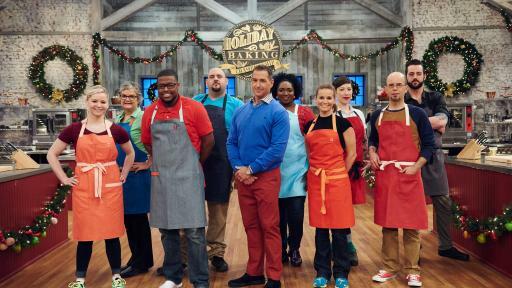 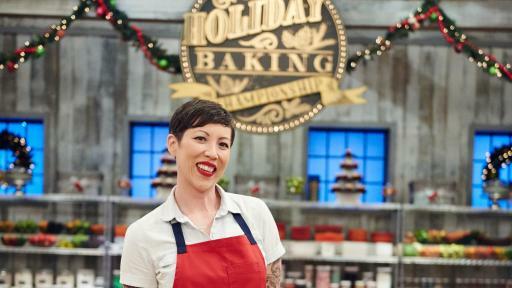 Also, keep up with the competition with photos, video highlights at FoodNetwork.com/HolidayBakingChampionship, and join the baking banter on Twitter using #HolidayBakingChampionship. 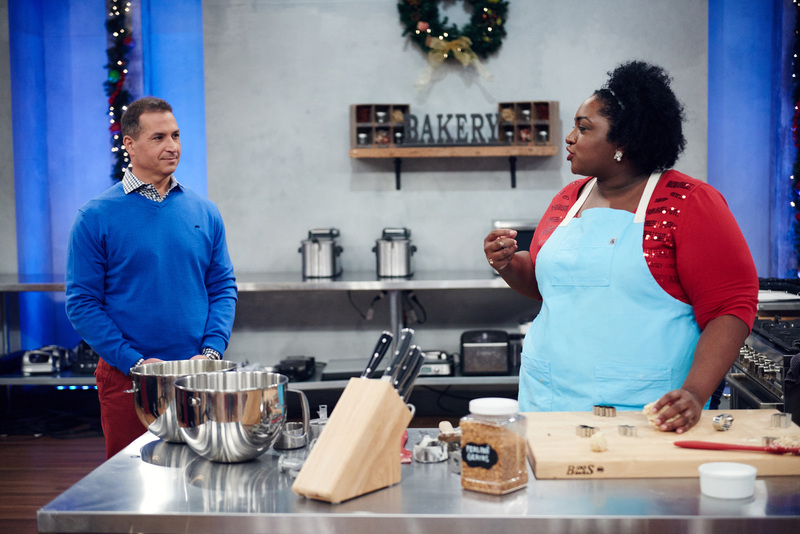 For even more sweet fun on Sunday, December 25th at 9pm ET/PT tune in for a special episode of Holiday Baking Championship when Bobby Deen welcomes three past Holiday Baking Championship competitors and three fan favorites from Kids Baking Championship back into the kitchen for a one-shot holiday showdown. 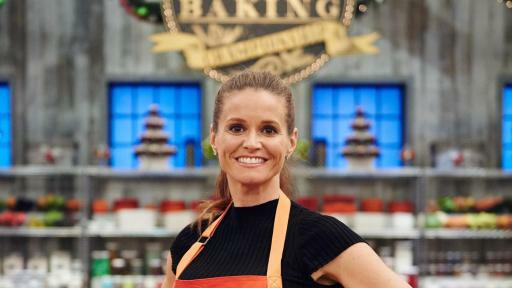 Before New Year’s resolutions begin, the bakers must whip up one last diet-busting, decadent dessert in just one hour for the pre-heat. 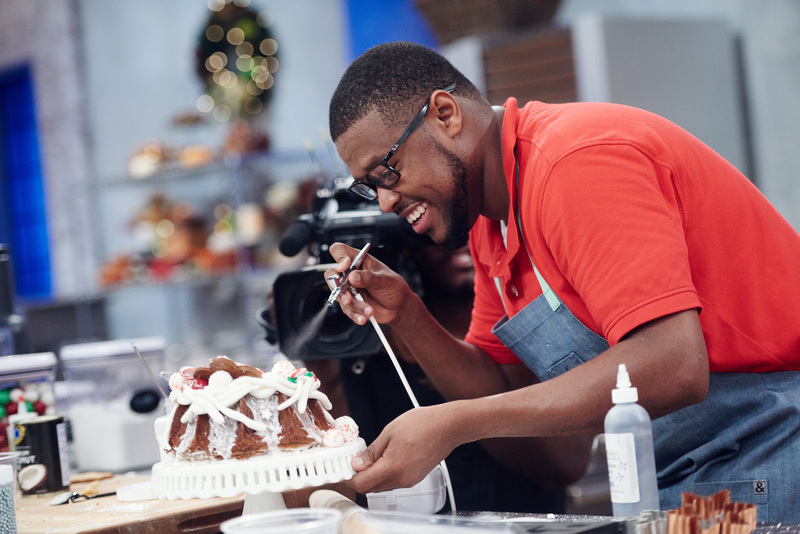 The one that takes the cake will earn a special advantage in the main-heat, where they will compete in adult and kid teams to create three different sweet treats. 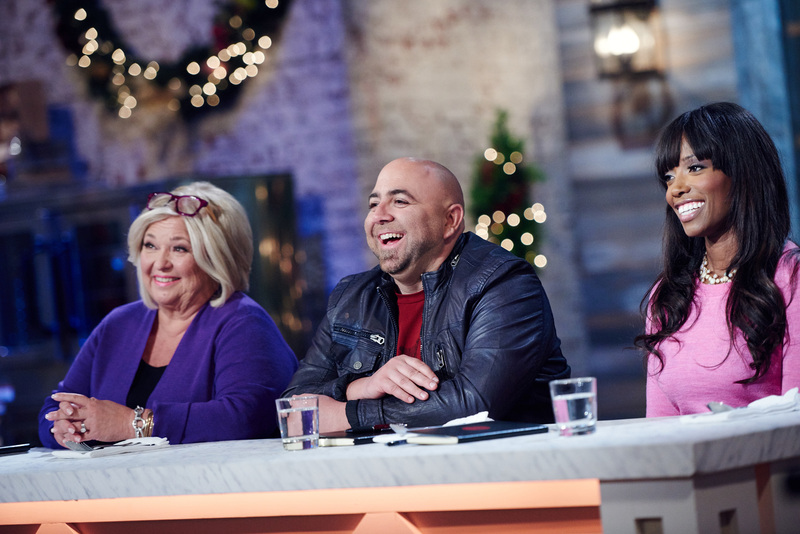 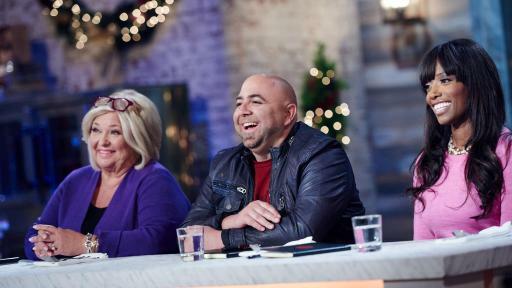 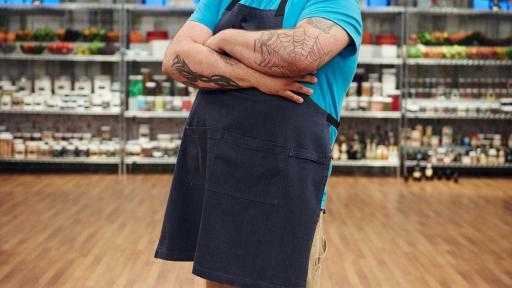 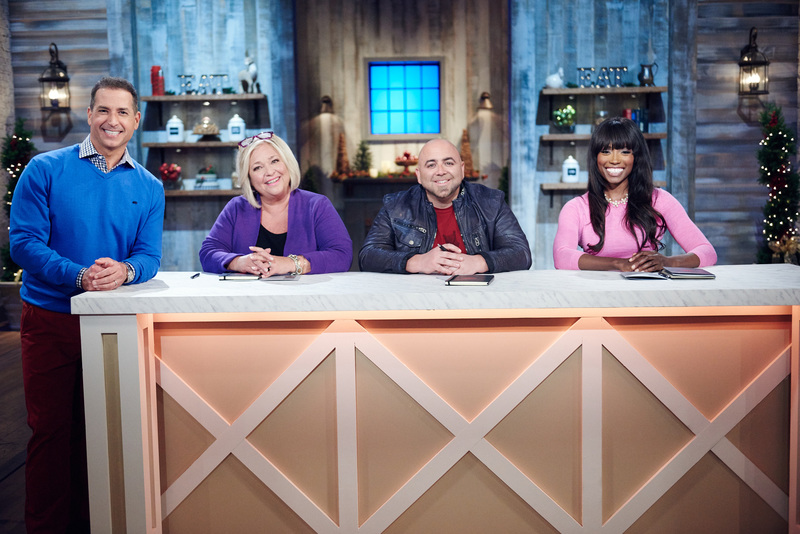 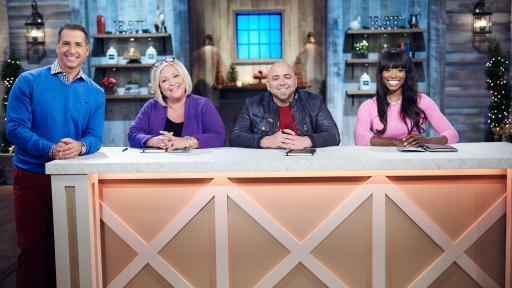 Duff Goldman, Nancy Fuller and Lorraine Pascale will decide which team will take home the grand prize of $10,000. 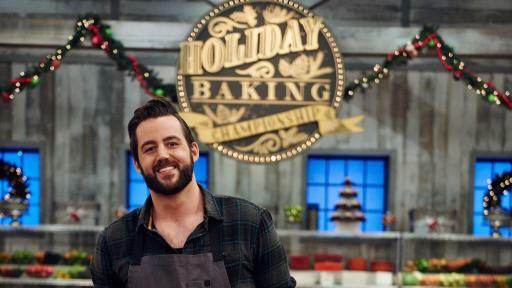 Holiday Baking Championship is produced by Triage Entertainment.